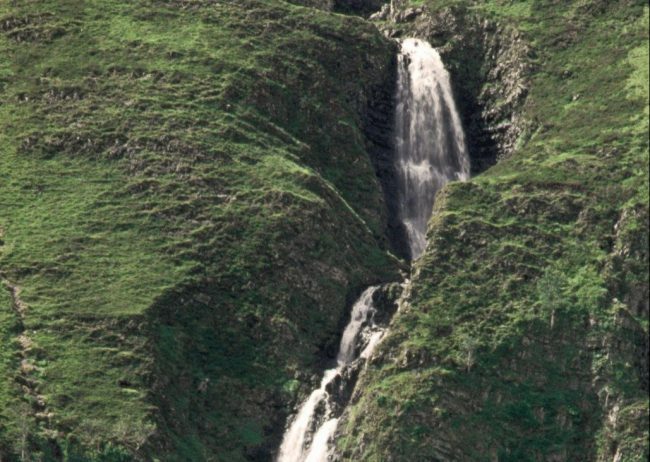 It is easy to see how Grey Mare’s Tail got its name as you gaze at the tall, thin line of white frothing water. The waterfall, one of the UK’s highest, plunges 60m down into the Moffat Water Valley. This dramatic upland landscape was created by glacial erosion over millions of years and unfolds further up steep slopes past the waterfall to the picturesque Loch Skeen. Towering above the loch are the peaks of Lochcraig Head, Mid Craig and the summit of White Coomb (821m), with breathtaking views extending as far as the Lake District and Northumberland to the south. Grey Mare’s Tail is a paradise for wildlife enthusiasts, who come to see the rare upland plants, peregrine falcons, ring ouzels, feral goats and, if you are lucky, ospreys fishing in the loch. Loch Skeen is also home to Britain’s rarest freshwater fish, the vendace.